There were some crazy upsets in college football over the weekend. #2 Georgia lost to #13 LSU, and Wisconsin, Miami, West Virginia, and Penn State all lost as well. Auburn’s loss was particularly upsetting to the fans as the team’s head coach signed a $49 million extension this off-season making his buyout worth about $32 million. Alabama and Ohio State remain at #1 and #2 respectively with 7 wins and 0 losses. In the NFL, one of the wildest games of the weekend featured the Miami Dolphins vs the Chicago Bears. 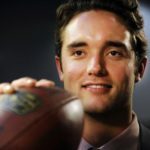 With no explanation before the game or in the press conference after the game, Brock Osweiler started as the quarterback (over Ryan Tannehill). With the game tied at 28-28, the teams headed into overtime. The Dolphins could win the game with a touchdown (a field goal would have extended the game allowing the other team a possession), but on 3rd down, the Dolphins fumbled the ball in the end zone. The play was ruled a touchback allowing the Bears to march down the field for the game-winning field goal. Dolphins 31, Bears 28. In some other interesting games, the New York Jets beat the Indianapolis Colts 42-34 with a franchise record 7-of-7 field goals. The New England Patriots barely escaped with a win over the Kansas City Chiefs. Chiefs quarterback Patrick Mahomes went head to head with veteran QB Tom Brady, but Brady proved why he’s one of the best quarterbacks in history with 340 yards, a touchdown, and a rushing touchdown to hand the Chiefs their first loss of the season (and Mahomes first loss ever). Patriots 43, Chiefs 40. Fun fact, this battle marked the first 43-40 game in NFL history. In the American League Championship Series, the Boston Red Sox and Houston Astros are tied at one game apiece, and in the National League Championship Series, the Milwaukee Brewers and the Los Angeles Dodgers are also tied at 1-1. Tom Brady rallied his team to a close victory over the Indianapolis Colts on Thursday night and managed to set some more records while doing so. In the fourth quarter of their 38-24 win, Brady threw a touchdown pass to Josh Gordon, setting an NFL record for throwing a touchdown to the greatest number of different targets (71). He also recorded 500 regular season career touchdown passes joining Brett Favre (who had 508 in his career) and Peyton Manning (who had 539). The FBI has been working on an investigation into pay to play bribery schemes from Adidas officials and others to get recruits to sign with schools affiliated with the brand. Two Louisville coaches were implicated in this scandal during Thursday’s court proceedings when former recruit Brian Bowen’s father took the stand. Former Adidas executives were charged with paying the Bowen family $100,000 for committing to play at Louisville. This story is just beginning and could have large ramifications throughout the college sports world. For a rundown of teams and people involved, click here. In a do or die game Monday night, the Philadelphia 76ers fought back and avoided elimination. T.J. McConnell turned it up in his first career playoff start for the Sixers and finished the night with a career high 19 points. The Sixers trail 3-1 in the series but have not given up and will play game 5 on Wednesday night. Teams that trail 3-0 have never come back to win a series, but Sixers Joel Embiid said “We’re playing our hearts out and just trying to be that one team.” Philadelphia 103, Boston 92. LeBron James and the Cleveland Cavaliers swept the Toronto Raptors for the second consecutive season. The Cavs will now head to the eastern conference finals. Cavs 128, Raptors 93. With a win in overtime agains the Pittsburgh Penguins, and for the first time in 20 years, the Washington Capitols advance to the Eastern Conference finals where they will face the Tampa Bay Buccaneers. The winner of that series heads to the Stanley Cup Finals. Tom Brady lit up social media with his choice of attire for the annual Met Gala. The theme for the gala this year was “Heavenly Bodies: Fashion and the Catholic Imagination.” Brady wore a black tux adorned with gold to match his supermodel wife, Giselle Bundchen’s, gold Versace dress. What a difference a few months makes! Gerald Green was cut by the Milwaukee Bucks in October and has been sitting at home, hanging out with his Rottweiler, Zeus. Last week he got the call from his hometown Houston Rockets to replace an injured Luc Mbah a Moute. After a scoreless debut, he’s been on fire, and Thursday night against the Golden State Warriors, he knocked down 29 points including eight 3-pointers. 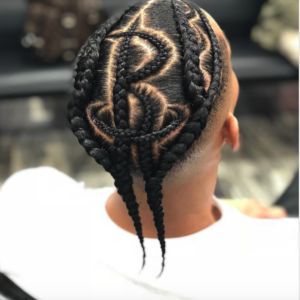 Green was so excited to get the chance to play for his home-team, he even had the Rockets’ logo braided into his hair. Green expressing his excitement said, “You know what, man? I’ve been kind of thrown under the bus a few times in my career. So it’s not the first time I’ve seen that little area before. For me, what I did was just kept having faith in myself. Obviously, once it gets to be November and December and you still don’t get no calls, you either lay down or you fight. So I just continued to fight. God blessed me with this opportunity. Now I’ve just got to try to take advantage of it the best way that I can.” The Rockets see his potential as they announced they are guaranteeing his contract for the rest of the season. Unfortunately for the Rockets though, Green wasn’t enough to hold off the Warriors especially with the “other” Green (Draymond Green), who hit a franchise record 21st career triple-double. 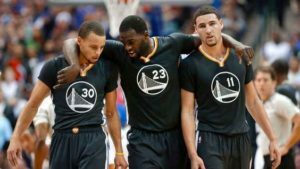 Warriors 124, Rockets 114. According to reports, there’s been some drama in New England between coach Bill Belichick, owner Robert Kraft and quarterback Tom Brady. It seems the disagreements started when Brady’s trainer and business partner Alex Guerrero pressured other players to use his training technique called TB12. Many players referred to the technique and its strict guidelines as a “cult”. The influence of Guerrero was just one issue affecting the trio. Other contributing factors was Brady’s future and getting rid of Brady’s backup, Jimmy Garoppolo (who was traded to the SF 49ers). For more on this story, click here. New England Patriots’ QB Tom Brady will add to his list of accomplishments by releasing another book (his first book was a cookbook). His new book focuses on ways for readers to enhance their productivity and performance by following his methods. 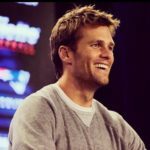 Brady tweeted, the book is “the culmination of what I have been working on for the past 12 years of my career – something that I know can benefit ALL people regardless of age, athletic level, or stage of life. I know the methods in this book can be a blueprint to better understanding how to maintain peak mental and physical fitness for the rest of your life. 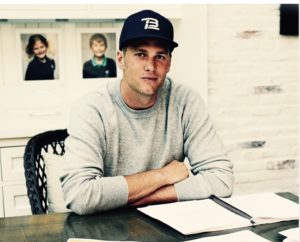 The TB12 Method: How to Achieve a Lifetime of Sustained Peak Performance, will be released in September. In a free agency update, Rudy Gay will head to the San Antonio Spurs after spending three years on the Sacramento Kings. Tim Hardaway Jr. signed a surprising 4 year $71 million dollar offer sheet from the New York Knicks. The Atlanta Hawks can match the offer by Saturday night, but according to those in the know, Hardaway will likely be a Knick next season. The oldest player in the NBA, Vince Carter, will leave Memphis and join the Sacramento Kings for a one-year $8 million dollar deal. A well-rested Cleveland Cavaliers stomped the Boston Celtics on the road in game one of the Eastern Conference finals. LeBron James added 38 points and looked unstoppable, while Kevin Love and Tristan Thompson had career high postseason 32 points, 12 rebounds and 20 points, nine rebounds respectively. Cavs 117, Celtics 104. The highly controversial LaVar Ball is now saying he wants $3 Billion for his shoe company, Big Baller Brand. Fox reporter Kristine Leahy, who’s already had a run in with LaVar, mentioned he would need to market to women if he wants his company to be successful. LaVar dismissed the idea then later verbally attacked Leahy and said, “I never disrespect women, but I tell you what, if you act like that, something’s coming to you and it’s OK.” LaVar also told Fox’s Colin Cowherd, he wants his son Lonzo to play for the Lakers (who have the #2 pick in the draft). 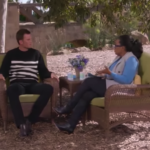 In an interview with Charlie Rose, Gisele Bundchen mentioned hubby Tom Brady had a concussion last year he never reported to the team. In fact, Gisele not only said he had a concussion, but had concussions (plural) over the years. Brady hasn’t missed playing a game since 2008, so the report he’s had a head injury (injuries) is something the NFL and NFL Players Association will look into. The mystery of Tom Brady’s missing jersey is finally over. The now ex-director of a newspaper in Mexico City is reportedly the culprit in stealing two of Brady’s Super Bowl jerseys and possibly the Denver Bronco’s Von Miller’s helmet from Super Bowl 50. Officials were able to recover the jersey based on surveillance footage of this reporter walking in and out of the players’ locker room with a backpack. You can see the footage here. It’s reported Brady’s jersey is worth at least $500 thousand dollars. Historic Super Bowl Win For New England Patriots!!! Super Bowl 51 did not disappoint! The game will go down as the greatest comeback of all time and one of the most exciting championship games in history. The New England Patriots overcame a 25 point deficit to beat the Atlanta Falcons in overtime, the first overtime in Super Bowl history. The Falcons led for 41 minutes and 18 seconds while the Patriots never led until James White’s TD in OT. White had the game of his life (and now fans are rushing to buy his jersey) with 14 receptions and 3 TD’s. At halftime while the rest of us watched Lady Gaga’s sing her heart out in an entertaining and well choreographed show, Patriots’ Safety Duron Harmon reportedly inspired his team by saying “they were going to pull off the most dramatic comeback in Super Bowl history” and they did! Down 25 points, the Patriots did in fact record the largest comeback in Super Bowl history. The previously largest comeback was a deficit of 10 points. To no ones surprise Tom Brady was named the Super Bowl MVP, setting yet another record having earned the honors in 2001, 2003 and 2014. This was a game for the ages with multiple records broken. After the game, tears were flowing as Brady hugged coach Bill Belichick and owner Robert Kraft. 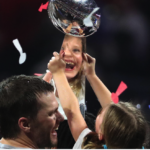 Brady said, “we’re all going to remember this for the rest of our lives.” When Kraft accepted the Lombardi Trophy he added, “I want to say to our fans, our brilliant coaching staff, our amazing players who were so spectacular, this is unequivocally the sweetest.” Patriots 34, Falcons 28. Perhaps we all should have known the Patriots would win the Super Bowl when on Saturday night Falcons QB Matt Ryan was announced the NFL MVP. This is the 8th straight time an NFL MVP went on to lose the Super Bowl.